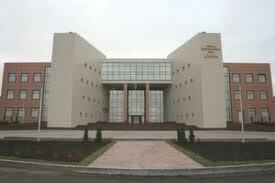 The first international project “Abstract Art in Modern Russia” with the participation of abstract artists from the USA, France, Italy, Mexico, Norway, Japan, Germany, Latvia, Bulgaria and Armenia opens on 17 September, 2012 at 19.00 in the Culture House “Mir”. During the exhibition the participants will conduct master classes, performances and lectures on “Abstract Art”. One and a half hour journey will take you to the Russian Orthodox Church Center with its 600-year old Trinity Monastery (Lavra). The holy monastery is a unique fortress of the XVI-XVII centuries with several churches, the Cathedral and five-story Bell-Tower, of 88 meters height. You will visit all these churches and the Tsar’s Apartments where the Moscow Theological Academy is located now. You will have an opportunity to visit the museum of icons and other relics of the Moscow Theological Academy. 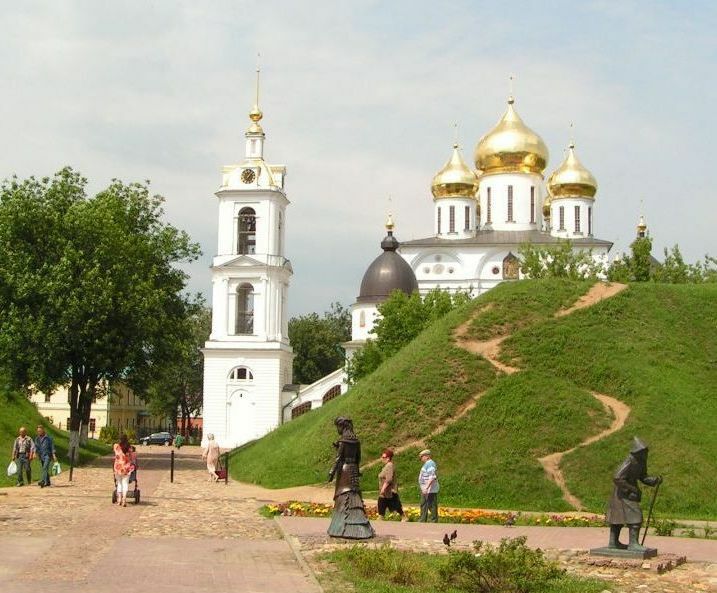 Tver was founded in the beginning of the 12th century. 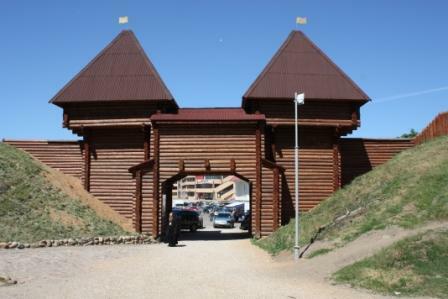 During the invasion of the tribes of mongols and tatars in 1238 Tver, like many other Russian cities, was destroyed. 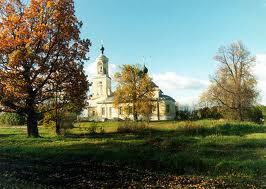 In the 14-16th centuries the Tver princedom became a strong independent principality. 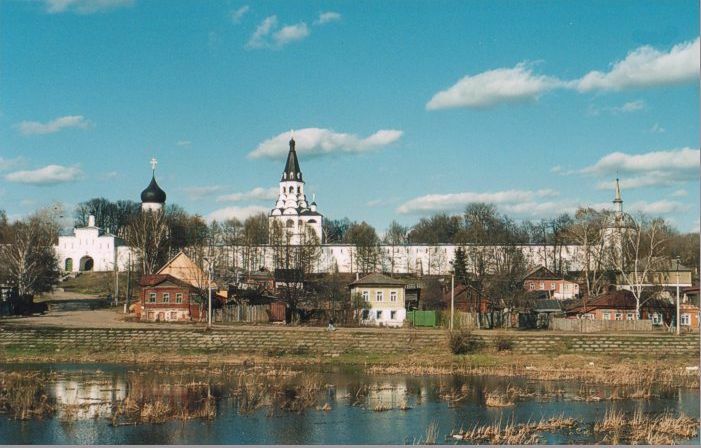 Many buildings of the city of Tver, manors, churches and monasteries were constructed with participation of the outstanding architects - Rastrelli and P.R.Nikitin, M.F.Kazakov and J. Kvarenghi, K.I.Rossi. After the great fire of 1763 Catherine the Great ordered to allocate one million roubles from the imperial treasury for the construction of stone houses in the city centre. 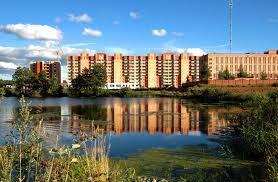 (That is why the name of the central street is Million one). The restoration of the city under the supervision of the famous Russian architect Nikitin was performed similarly to the center of St-Petersburg with its front three-rayed (triactinal) streets. The main feature of this lay-out became a long axial Million street (Soviet Street now). Alexandrov is the first in Russia country residence of the Russian tsars specially erected for official tsar's receptions. Peterhof ensemble in St.-Petersburg was designed as Alexandrov.The excursion includes the overview of the Kremlin of Alexandrov- the residence of the first Russian tsar -Ivan the Terrible (16 century), a visit of the exposition "The State Yard", the Cathedral, the Building of Kvas (traditional Russian beverage), the Medieval underground preserved since that time unchanged, the Treasure Building and Ivan- the Terrible dining-room. An unforgettable 2-hour tour round Dmitrov will give you an insight into one of the oldest and most picturesque cities lying in the heart of Russia. 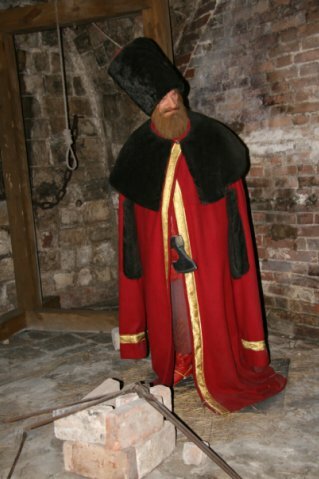 Dmitrov is often called "the younger brother of Moscow" for two reasons: first, it was founded only seven years later, in 1154, and second, Moscow and Dmitrov have the same "father": Prince Yuriy Dolgorukiy. 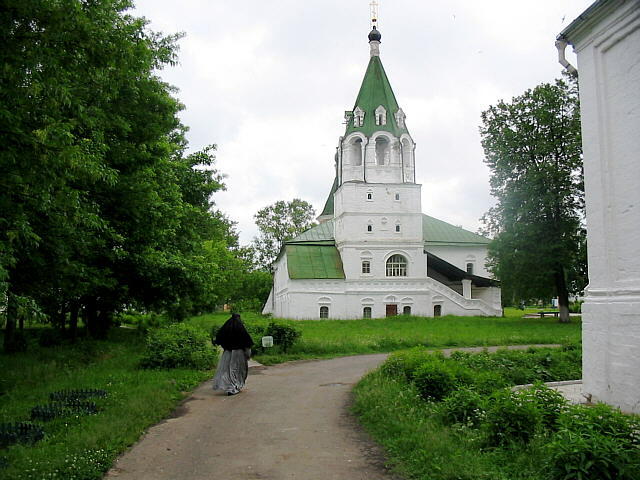 Being well-known for its cathedrals, churches and monasteries, Dmitrov has been made one of the destination points in the far-famed tour "The Golden Ring of Russia", preserving the unique monuments of Russian Architecture of the 15th -19th centuries featuring Russia's famous "onion" domes. During the trip you will attend Dmitrov's Historic Square and Kremlin, climb on a 13-meter-high Earth Wall surrounding it, pass its ramparts through the Nikolskie Gates and reveal the beauty of its most remarkable edifices - the Assumption Cathedral (built in 1509-1523, with its unique icon set featuring exquisite carvings of the late 17th century representing the copies of works of Russian famous icon painters - Andrei Rublyov and Dionisiy) and the Elizabeth Cathedral (constructed in 1897-1898 with support of E.S. Ljamina as a prison house temple). On the territory of Kremlin you will also see the monument to Cyril and Methodius (Orthodox saints, creators of the Cyrillic alphabet), the pond with the Bridge of Fortune and the Stone of Desires (learn more about the legend) and a Russian wooden house constructed in the 1880s. 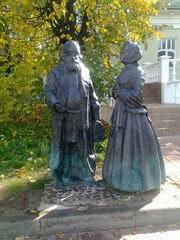 In addition, you are welcome to admire an unusual open-air historic museum and its People of Dmitrov - sculptures depicting the ancestors walking along the Kropotkinskaya Street, a street cobbled with stones. You will also see the House-museum of Peter Kropotkin, a prominent Russian anarchist. The Monastery and Cathedral of Sts Boris and Gleb founded in the last half of the 15th century, and other places of interest (Frog Fountain, Lily Fountain etc.) will be attended upon request.